For more information on Dream Big Darling or for tickets, go to dreambigdarling.org. The Friday, Oct. 19, fundraiser kicks off at 5 p.m. with food crafted by The Range of Santa Margarita and wine from Ancient Peaks. Participants include Wittstrom-Higgins of Ancient Peaks, Jordan Fiorentini of Epoch Winery, Maeve Pesquera of Daou Vineyards and Winery, Cynthia Lohr of J. Lohr, Amy Butler of Ranchero Cellars, Maggie Tillman of Alta Colina Winery, and Adrienne Ferrara of Clesi Wines. When country superstar Loretta Lynn crooned the tongue-in-cheek tune "Wine, Women, and Song" back in the 1970s, she was bristling against a misogynistic society that, for the most part, saw both "wine" and "women" as objects to attain. Back then, the two words spoken together rarely produced an empowering notion. In 2018, "women and wine" have become very much a part of the public consciousness, and I'm not talking about the enormous surge in women wine drinkers (we've all heard the term "mommy juice" by this point). 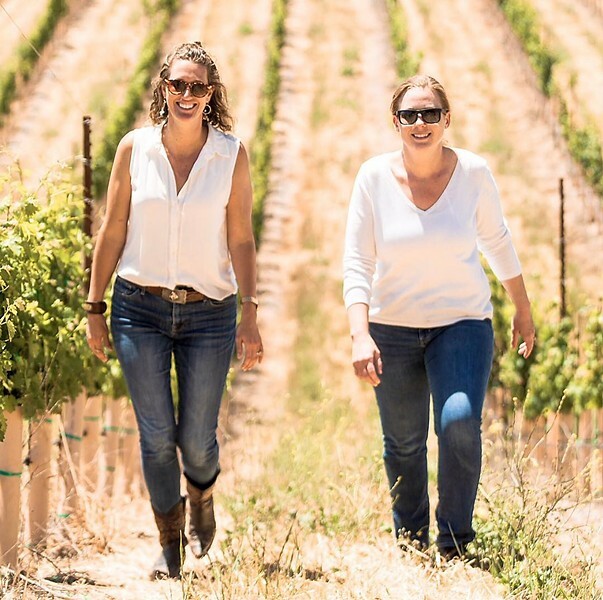 VINEYARD MEETING From left, Dream Big Darling founder and CEO Amanda Wittstrom-Higgins and a Los Angeles area wine buyer Sharon Coombs get some work done in the vines. Women are enmeshed with the wine industry, both nationally and locally. They're in the cellar, at the tasting room bar, in the vineyard, and behind the marketing desk. They're getting their hands dirty, speaking at seminars, and testing phenolics in the lab. To quote another famous country crooner, they're working "9 to 5" in the wine world and making waves, too. However, you don't always see or hear from these women. The wine and spirits industry is still a largely male dominated space, and many women work tirelessly behind the scenes. Amanda Wittstrom-Higgins aims to lift back that curtain with her new local nonprofit, Dream Big Darling. When young girls talk about "what they want to be when they grow up" the CEO and founder wants diverse jobs like "wine sales rep" or "vineyard manager" to spring to mind quickly. "The concept is really to mentor and help the next generation of women in the wine and spirits business, in its entirety," Wittstrom-Higgins said. "A lot of young people think that this business is solely production based, but in truth, that is not the case." Through mentorship, education, scholarships, and professional retreats, Dream Big Darling aims to lay out all the available career options to these rising stars. She certainly knows what she's talking about. The Paso Robles native belongs to the second generation of Ancient Peaks ownership families. As VP of operations, she oversees sales and marketing, companywide budgeting, long-range planning, human resources, and special projects. She's also a past director for the Paso Robles Wine Country Alliance, SLO Wine Country, and SLO CAL. In 2017, she co-founded Wine Speak Paso Robles, one of the state's premier wine industry trade events. SHOOT FOR THE STARS Macoy Sill and Cecilia Higgins frolic in the vines. 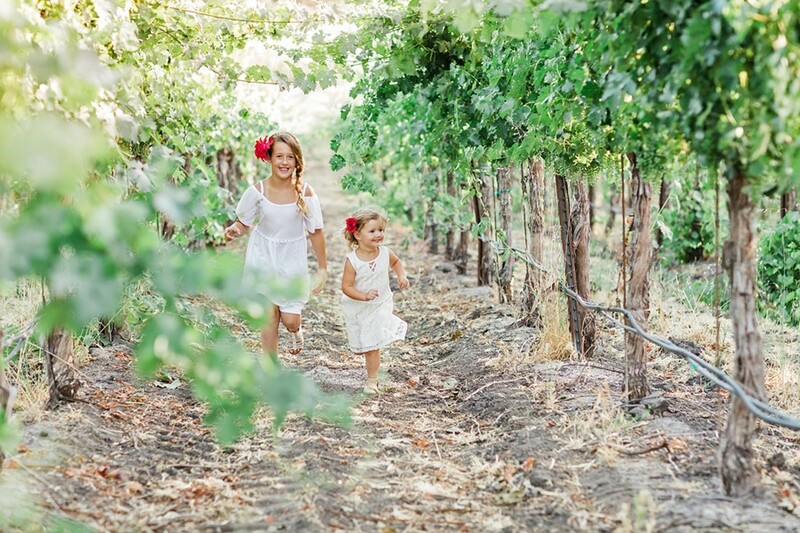 When little girls are asked what they want to be when they grow up, Dream Big Darling founder and CEO Amanda Wittstrom-Higgins wants careers like "vineyard manager" and "wine sales rep" to spring to mind. "Dream Big Darling is a symbolic phrase. My grandmother, who was one of the most influential people in my life, called me 'darling' while I was growing up. To me, it is a word that signifies both endearment and empowerment. It exemplifies: kindness, caring, understanding, and unconditional love," Wittstrom-Higgins said. In 2014, she started an internship program at Santa Margarita-based Ancient Peaks. The three-month, full-time position aimed to teach young people about all aspects of the biz, including understanding the wholesale market, direct to consumer marketing, winemaking and vineyard work, plus administrative tasks. "In order to have a successful business in this industry, you need to understand all of these aspects," Wittstrom-Higgens said. "I felt like a lot of young people, even with a degree in business or viticulture, were not really understanding that there's more than producing a product; it's about selling and marketing, too." She even sent interns out into the field to interview real-life experts. DREAM TEAM Dream Big Darling supporters Adrienne Ferrara, founder Amanda Wittstrom Higgins, Dr. Meredith Dillon, Loren Satterworth, Melodee Crank, Courtney Taylor, Rachel Collier, Christine Curtis, and Audrey Jackson. "This could be a coffee meeting with a CFO of a bank, wine beverage law attorney, or someone from a marketing or design company. Perhaps we'd take them to someone who sells glass or wine labels, as well as introduce them to vineyard relations," Wittstrom-Higgins said, adding that plenty of Ancient Peaks interns found jobs either at the winery or with those they interviewed. With the success of the internship program, Wittstrom-Higgins has expanded to lift young women to new heights. However, the industry pro said she owes lots to the men in her life. "The reason we focused in women is because we knew we could make a bigger impact if we chose one group," she said. "Most of my mentors have been men, and most of the people I work with are men, and I love them. However, we do know that women are under-represented in leadership positions in this industry, and in business in general." She mentioned the 2015 New York Times article that reported that there are fewer women running large companies than men named "John." This is not to say there should be fewer Johns or Roberts, but Wittstrom-Higgins hopes women can learn the skills needed to rise to the occasion. "I have been blessed to live in an environment and work with people who were entrepreneurs, who had vision, and who see the world as a glass half full. When they failed, they used that as fuel to start again," Wittstrom-Higgins said. "These are people who found their strengths and are utilizing those skills in a way that helps them generate revenue. What I want to do is expose all young people to all of the possibilities open to them." Whether Dream Big Darling participants enjoy talking to people (sales), working with their hands outside (vineyard work), or clicking a keyboard (marketing), Wittstrom-Higgins and her team believe there is a career waiting. This Oct. 19, the nonprofit will host its big first event, which includes an auction and dinner. The festivities will feature an all-star cast of women-led wineries, a menu inspired by Julia Child, dinner crafted by The Range restaurant, and live music by Hilary & Kate. 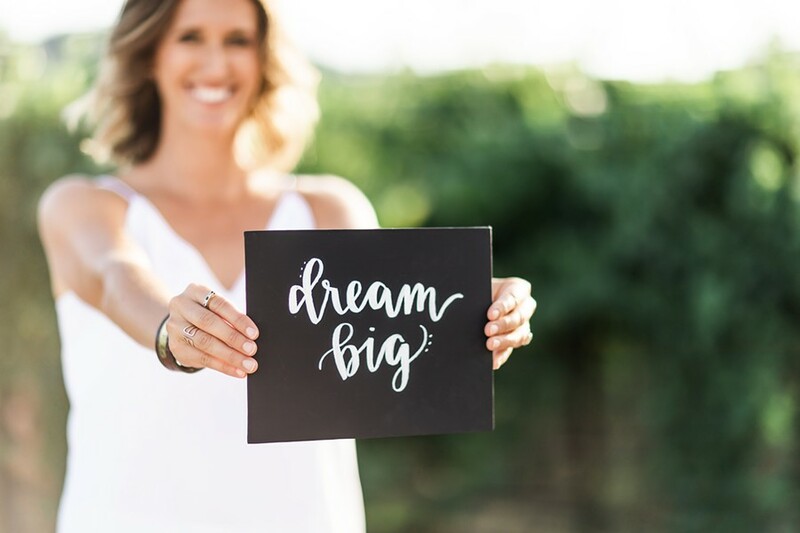 DREAMS REALIZED The Dream Big Darling nonprofit, led by founder and CEO Amanda Wittstrom-Higgins, aims to expose young women to the multitude of careers available within the wine and spirits world both locally and beyond. 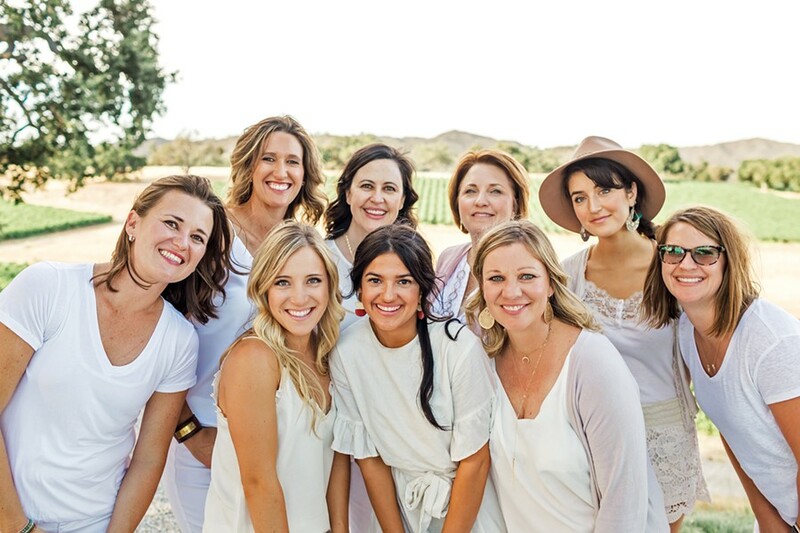 You'll meet plenty of hardworking female industry pros at the upcoming event, like Jordan Fiorentini, who serves as vice president of Winemaking and Vineyards at Epoch Winery in Paso Robles. "I'm thrilled to be a part of Dream Big Darling and give back to the industry that has given me so much in life," she said. "I want to share what I have learned with individuals who will shape what this industry becomes in the future." Wittstrom-Higgins and her late grandmother approve. Hayley Thomas Cain dreams gigantic. She can be reached at hthomas@newtimesslo.com.